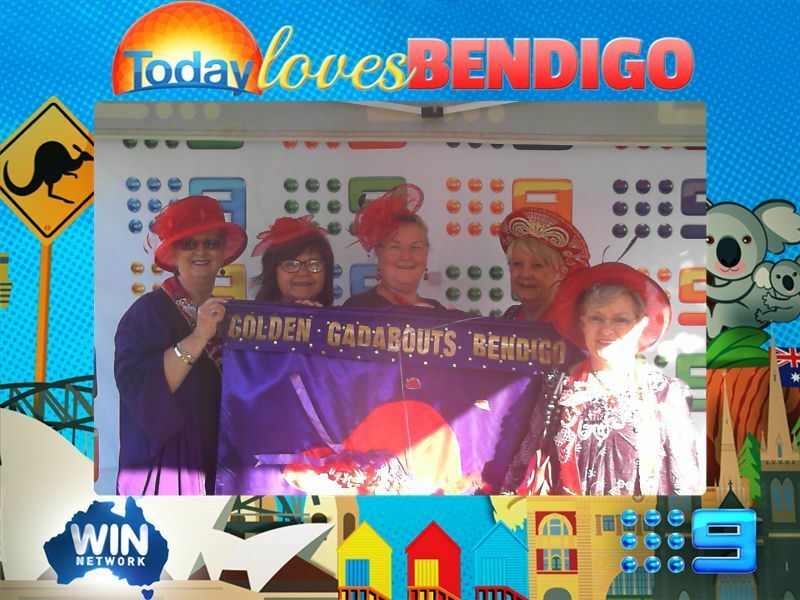 The Today Show was broadcast from Bendigo’s Rosalind Gardens recently. Some Golden Gadabouts braved the early start and created quite a bit of interest. 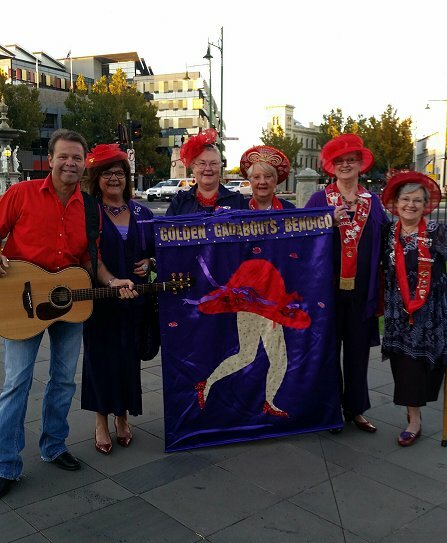 We took our banner and met with Richard Wilkins and Troy Cassar-Daley. We had a great time and spread the Red Hat message among the crowd!